When Jayne Hardman’s dog jumped up and knocked into her nose she was understandably irritated. Mopping away the blood, she assumed that at the worst she’d be left with a bruise. Little did she know that over the next few years she’d be in and out of hospital as her nose continued to present problems. As it swelled to abnormal proportions, Jayne couldn’t help but become concerned. 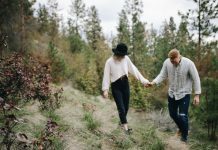 But it would take several trips to various different doctors before she finally got the diagnosis she’d been desperate, but fearful, to hear: she had an autoimmune disease that was slowly eating away at her nose. Over time, Jayne was left without a nose entirely. “I don’t like to look at how bad it looked. It was hard. I wasn’t going out unless I was with my husband or going to the places I knew,” Jayne explained on This Morning. Luckily for Jayne, she was able to get a prosthetic nose to hide the crevice that the disease had left in her face and now she feels like a new woman. In fact, she’s now so confident with her new nose that she was comfortable to remove is live on This Morning. 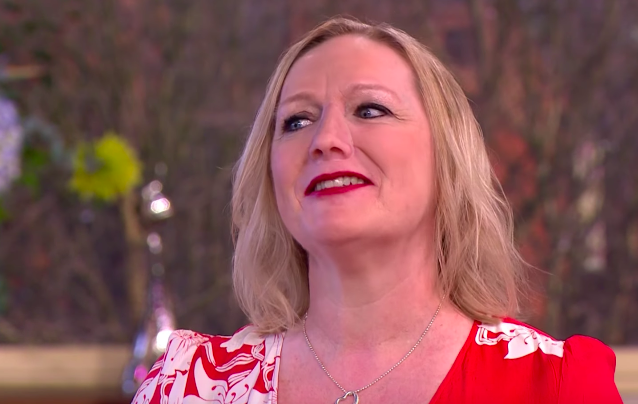 Jayne explains how her new nose is completely different to the one she was born with. In fact, the faux feature is an exact replica of the prosthetics doctor’s nose. Confused, Ruth asks for clarification that the prosthetic nose isn’t a “reconstruction.” In order to make her point clearer, Jayne promptly pulls her faux nose away from her face, revealing a deep hole and several magnetic clasps. The remarkable story was not missed by social media who couldn’t believe what they’d seen. But despite the peculiar nature of Jayne’s story, the internet trolls remained in their hole as thousands of supporters came forward to marvel over her miraculous prosthetic and new lease of life. Jayne’s story is truly a medical triumph and one that proves anything is possible as technology develops!